We chose to donate bathroom safety and convenience products to local non-profit organizations which focus on home accessibility modifications. We cant find a better leader in this project than Ronald L. Mace Universal Design Institute; An organization dedicated to promoting cultivating the concept and practice of accessible and universal design. The Institute's work manifests the belief that all new environments and products, to the greatest extent possible, should and can be usable by everyone regardless of age, ability, or circumstance. A thought which perfectly reflects Ponte Giulios company philosophy. THE RL Mace Universal Design Institute was able to connect Ponte Giulio with non-profit organizations that are always in need of accessibility products to better serve their low income clients with the limited funding that is available. To name a few additional factors that have made this year particularly challenging: Hurricane Harvey impacts in Texas and hurricane Irma impacts in Florida and Georgia. The Institute has been able to provide a number of non-profit organizations in four states with limited funding and guidance to create the safest and most accessible spaces for those in need. THE Institute ALSO works with A NUMBER OF different organizations across the United States, providing them with invaluable information and resources regarding Universal Design and accessibility. With the number of elderly people in the population rising over recent years  explains Ponte Giulio - people's needs are changing and so is their way of living, particularly in the home. Many elderly people have to consider mobility and how they will get around their home, and some also have to manage how they live with an illness. The same is true for people with disabilities. Our aim is to eliminate barriers and make life easier for everybody, no matter what their age or capability. We have been investing for years in modern projects, making solutions available to make private bathrooms safe and functional. 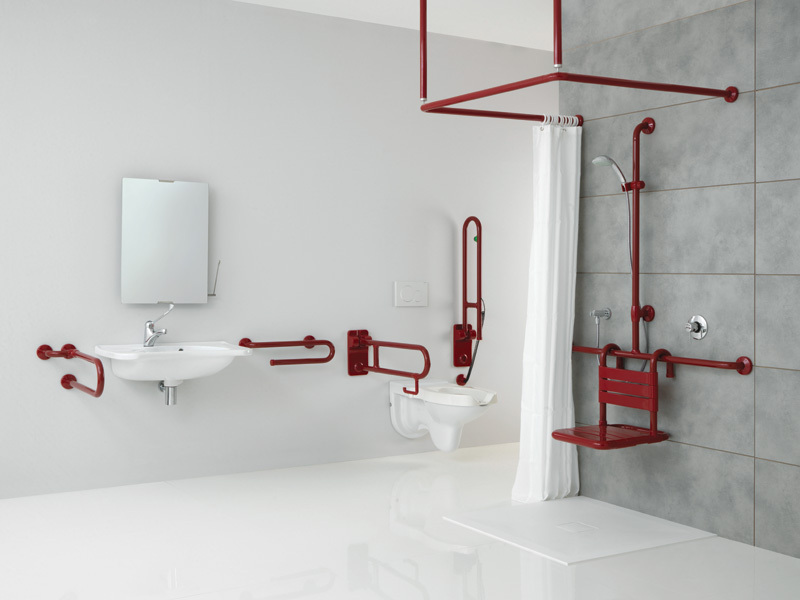 Increasingly, people are looking for products that aid mobility in the bathroom and we aims to create and supply innovative systems to meet the demand. 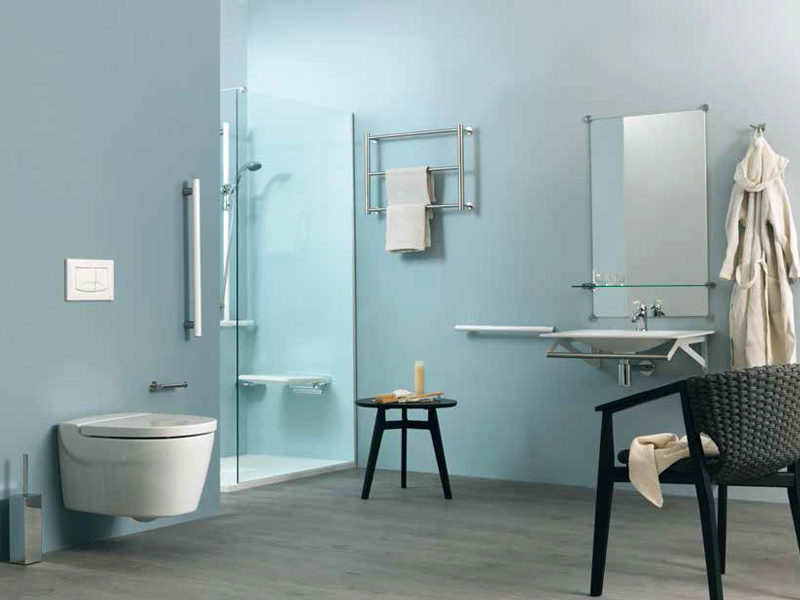 Ponte Giulios product offerings include: grab bars, shower and tub seats, sinks and accessories.